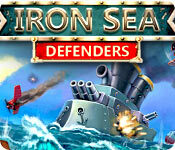 Easy game of mini-games, more designed for children. The general premise of the game is to become a great frog to win the "dream frog" girl and fall in love. Cute concept. 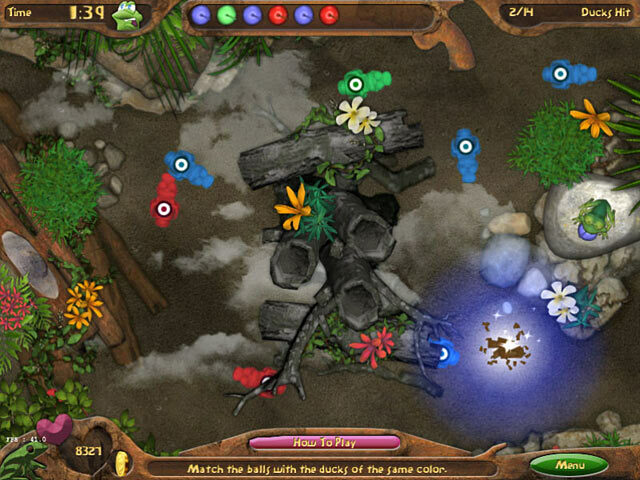 The game is essentially a number of mini-games with which you earn coins in order to pay for and play higher level versions of the mini-games you've played in order to develop your frog skills. 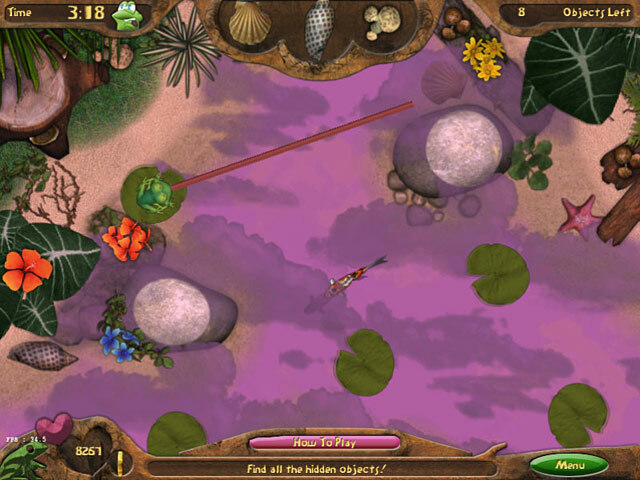 The mini-games are somewhat simplistic in my opinion, and includes a race of jumping on lily pads, matching butterflies, memorizing numerical sequences and collecting food orders in a marble blaster type format more, which I think are suited more for children and somewhat too easy for my challenge level. The graphics and music were ok, but nothing to write home or BFG fans about. Will I buy this game as this review is based on just playing the trial version? Probably not as it isn't challenging enough for me, but I would consider it for my son if he shows interest in playing the game, as I would recommend this game for older children, since the concept is a bit young adult in nature. 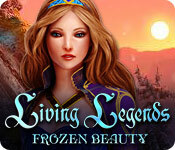 This game is a pleasant break from the hidden object games that are all over BFG right now. 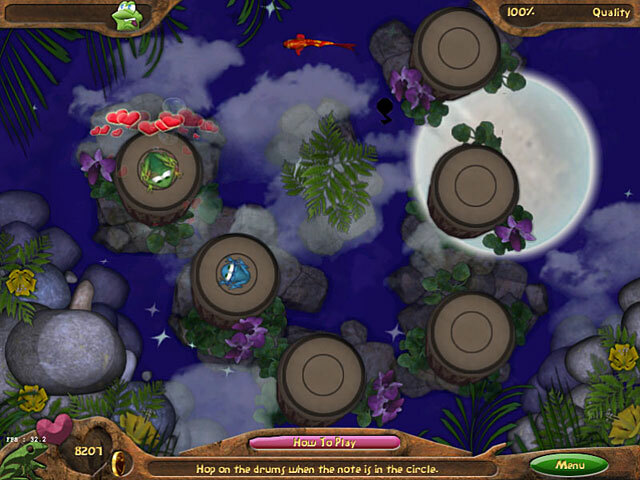 There are a variety of different minigames, which leads to your frog winning over the princess Jasmine. The game's graphics are a bid dated (it was released in 2009 I think) but the overall fun factor is still there. This game is very cute for kids! My daughter loves toads and frogs so this game is perfect for her! Even though she really struggles with using a mouse due to directionality issues and a Reading Disorder, she can play this game! Cute story, great graphics, great music! All winners in my book!